140 Westlake Drive N #301, Lake Lure, NC 28746 (#3435714) :: Robert Greene Real Estate, Inc.
Come enjoy the relaxing views of this condo. Mountain and golf course views in the front and the peacefulness of Bald Mountains Lake in the back. Inside this condo, you will find many of your everyday luxuries wrapped in the warmth of lake life living. The full-size spacious kitchen opens to a screened porch overlooking Bald Mtn Lake. 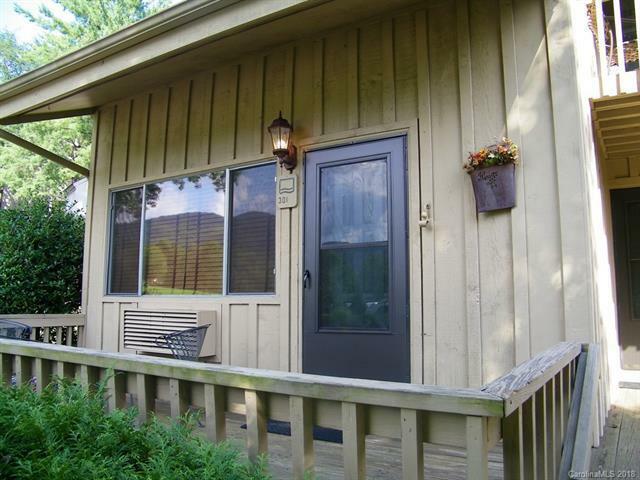 The screened porch offers full views of Bald Mountain Lake and easy dock access. Great rental history. All Rumbling Bald Resort amenities are offered with the beautiful condo. Level parking area just in front of the condo. Sold by Beverly Hanks & Assoc. Rumbling Bald.